Fragrance elaborated on Pitaya, also known as dragon fruit, original of Vietnam and imported by French settlers in the early nineteenth century. 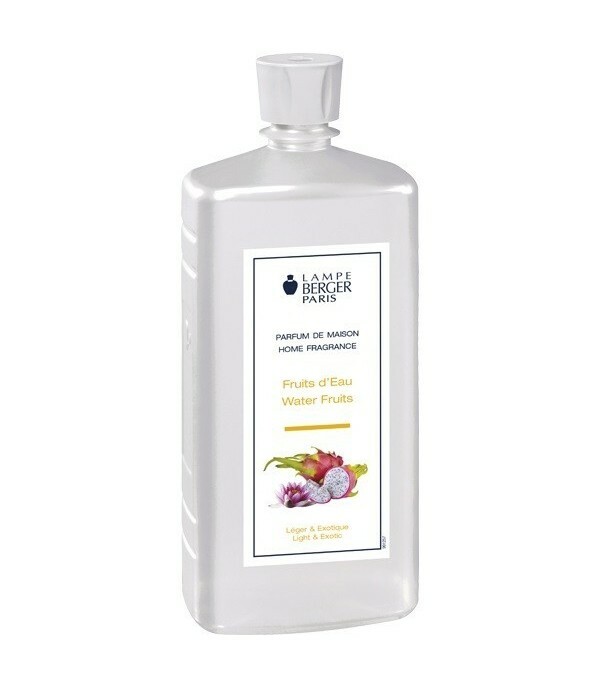 'Fruits D'Eau' (Fruit of Water), is a cocktail of juicy fruits enhanced by fresh green notes, and adorned in its background with the musk and the sweetness of the vanilla, becoming an explosion of exotic olfactory notes with a balance perfect. Content 500 ml. Top notes: pear, grapefruit, tropical fruits, green notes. Heart notes: Pitaya, fruits, lotus flower water. Base notes: vanilla, white musk. In 1898, a pharmacy assistant, creates Lampe Berger, to clean the hospital rooms, creating in that year the first patent. 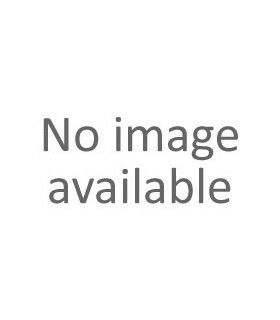 Subsequently, the dimension of pleasure is provided through perfume, and the design of its catalytic lamps, becoming authentic pieces for collecting. 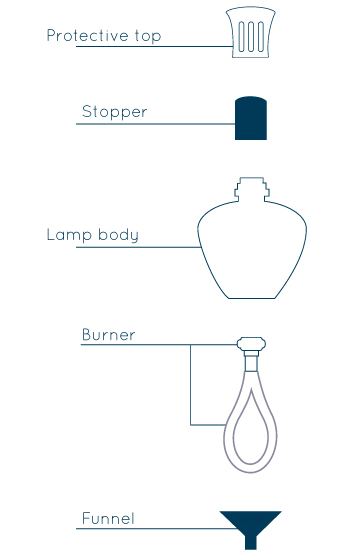 The I+D laboratory of Lampe Berger has designed a burner that has 6 international patents, being the fruit of more than 100 years of research. 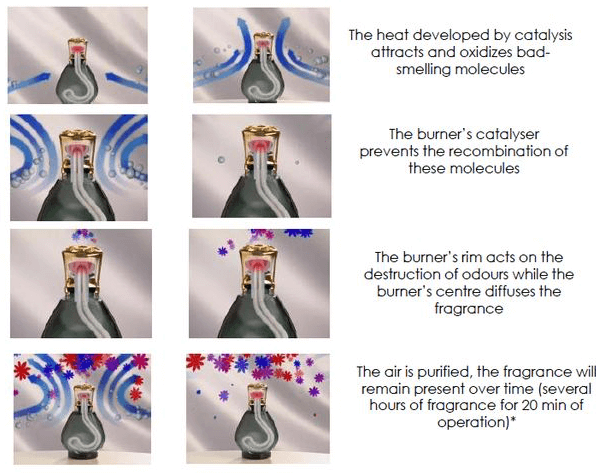 The system of catalysis allows to purify the air in the home, at the same time as it perfumes it. 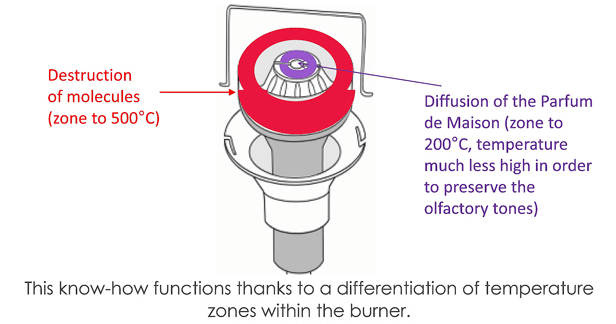 The burner, thanks to its developed system, has a simultaneous double action, the DESTRUCTION OF ODORS and the DIFFUSER OF PERFUME. Divine Marquise Refill 500 ml Mathilde M.
'Baies Sauvages' is a fruity and sweet scent with hints of Granada, raspberries and berries, softened with musk and vanilla. It will provide your home with a alegant atmosphere. Contents 1 Liter.